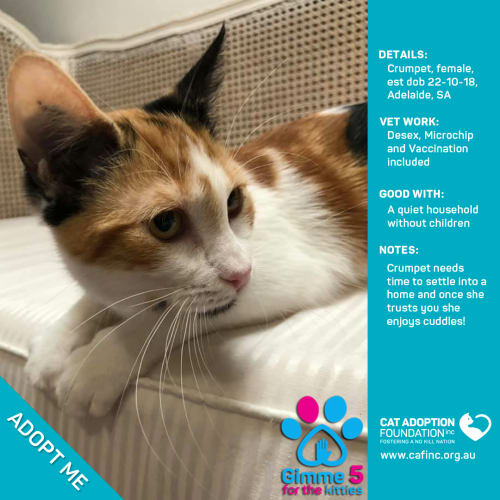 Crumpet will be wary at first, but she is a playful, sweet girl. 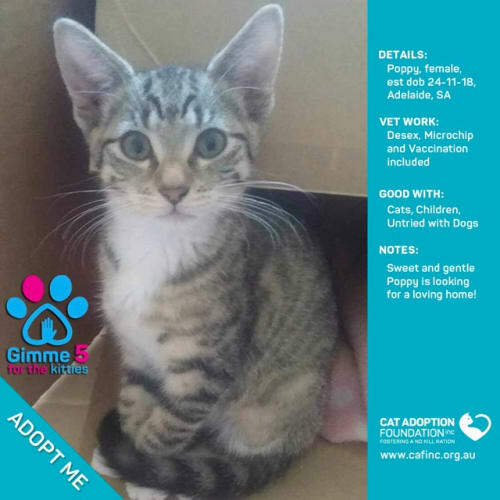 Poppy is a sweet-natured, gentle girl who is good with children and other cats. 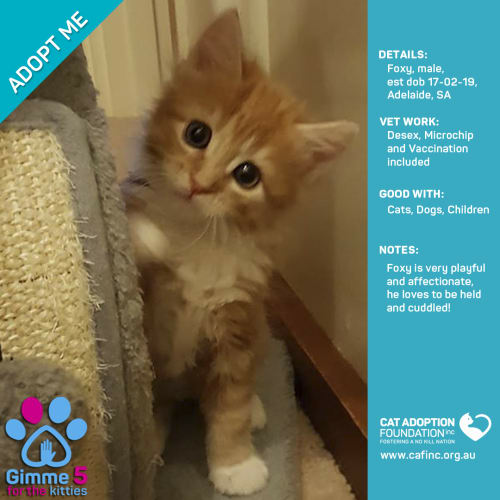 Foxy is a very playful boy who loves to be held and cuddled. 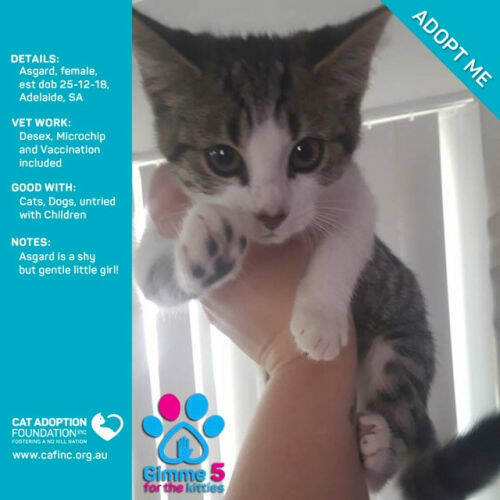 He is good with other cats, children and dogs. 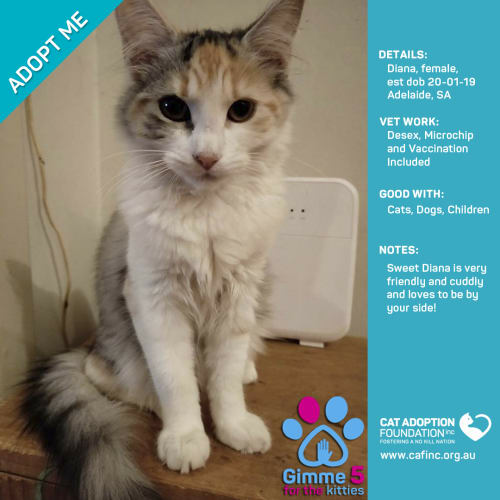 Diana is a friendly and affectionate cuddle-puss who is good with other cats, children and dogs. 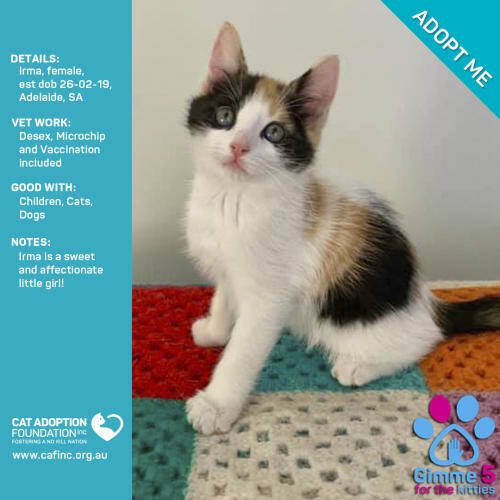 Cleo is a playful cuddlepuss who is good with other cats and children. 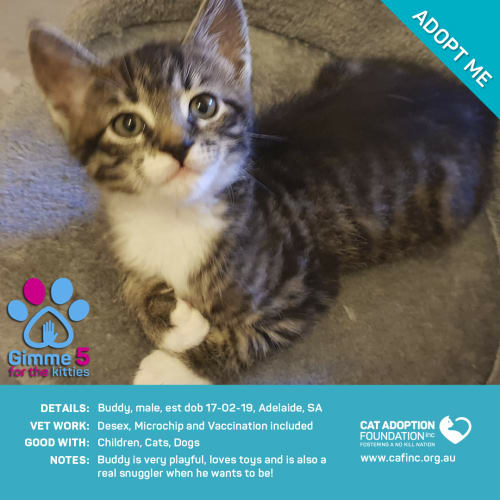 Buddy is a very playful boy who loves his toys and can be a snugglepuss when he wants. 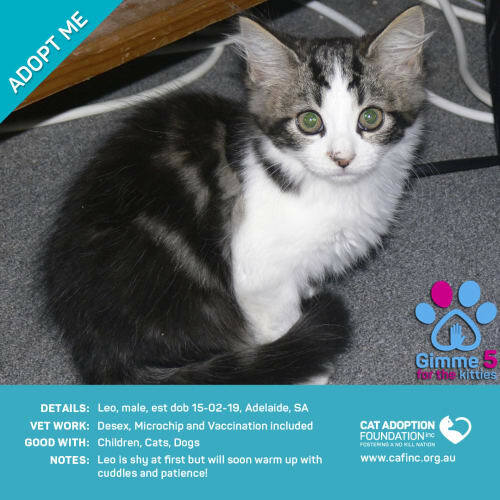 He is good with other cats, children and dogs. 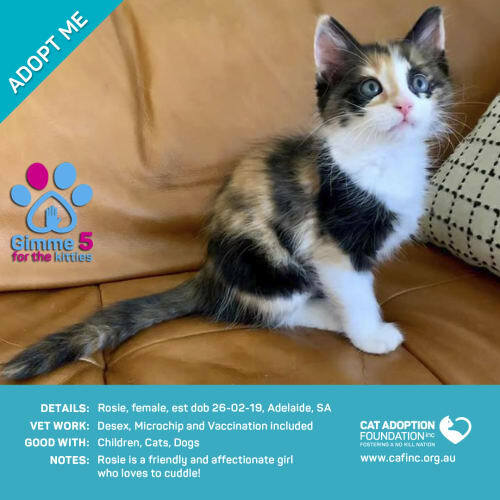 Rosie is a friendly and affectionate cuddlepuss who is good with other cats, children and dogs. Leo will be shy at first, but with patience and cuddles he will blossom. He is good with other cars, children and dogs. 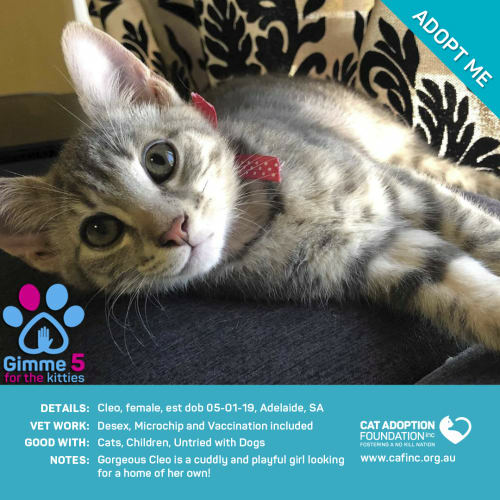 Irma is a sweet-natured, affectionate girl who is good with other cats, children and dogs. 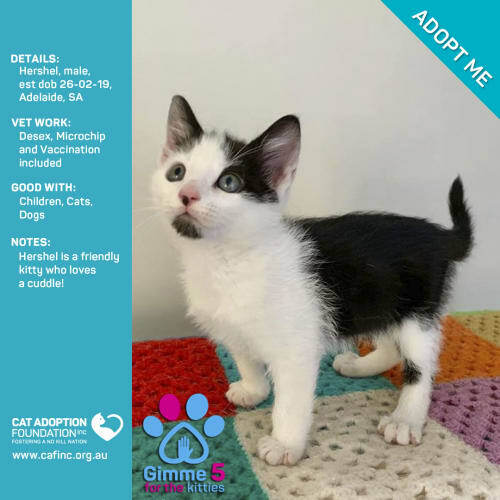 Hershel is a friendly, sweet-natured cuddlepuss who is good with other cats, children and dogs. 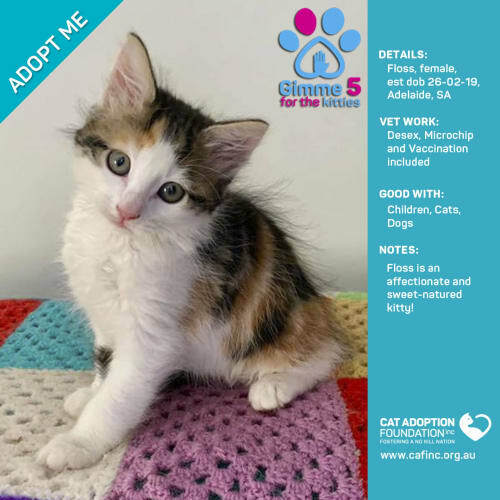 Floss is a sweet-natured and affectionate girl who is good with other cats, children and dogs.